Theatre is an art that encompasses all arts, from visual, music and dance, we watch students learn and appreciate these beautiful outlets. As Director of Education, I am charged with helping students and teachers grow in their love and appreciation for art, specifically theatre. What is often not even realized is that what these kids are learning through art, was not initially what they signed up for. 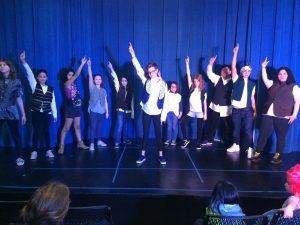 Yes, they learn songs, dances playwriting and theatrical elements, but what they take with them forever is the ability to work as an ensemble and have the confidence to perform on a stage. Parents and staff are often pleasantly surprised at the amazing talent they witness from their children on showcase day. It’s not about how great the production value is, it’s how awesome and confident their children look as they perform. 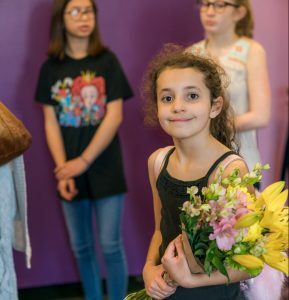 Camps and classes at the Magik help students create art but more importantly learn skills that will help them flourish in a world where speaking in public is still not the easiest to do. These kids learn critical skills like eye contact and working together for a common goal, that in today’s society has been missed. In a world of social media and technology it’s not everyday we see our youth look up from their devices and speak to someone else with confidence. Our kids walk away with these skills, not because we teach that but because it’s all a part of the process in learning effective theatrics. 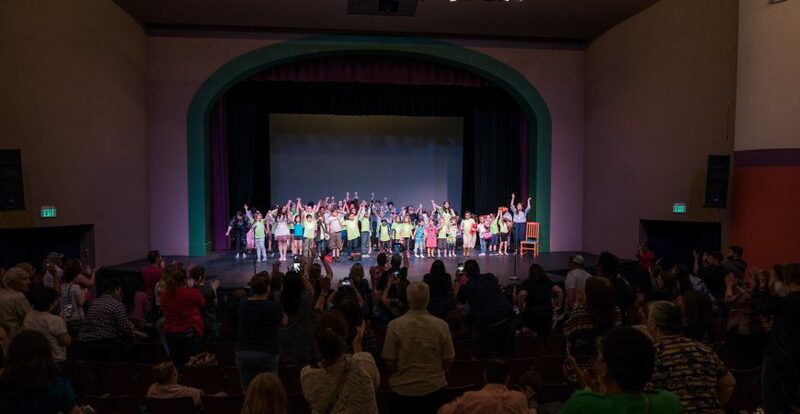 I am honored to get to watch these children grow as they pass through the doors of Magik Theatre and I look forward to more successful camps and classes! Miss Amy with a student at Spring Break Camp showcase. 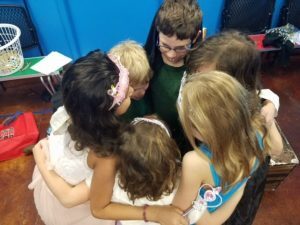 I experienced one of my favorite moments in my 5 years of teaching theatre education classes at The Magik Theatre during this Spring Break camp. 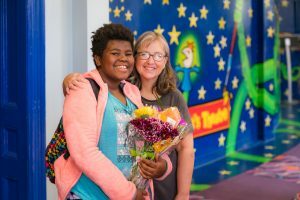 When a student started crying due to a sudden onset of stage fright, his teacher Ms. Amy walked with him onstage and helped him say his first lines. The audience and his classmates cheered so loudly. They had given him the confidence he needed to overcome his fear and finish his show proudly! 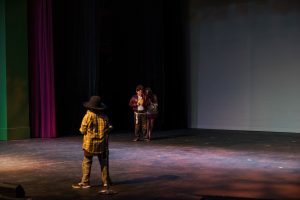 It was such a wonderful example of how theatre builds community and grows our confidence as we step onstage to speak in public which is a big fear for all of us, not just our students. 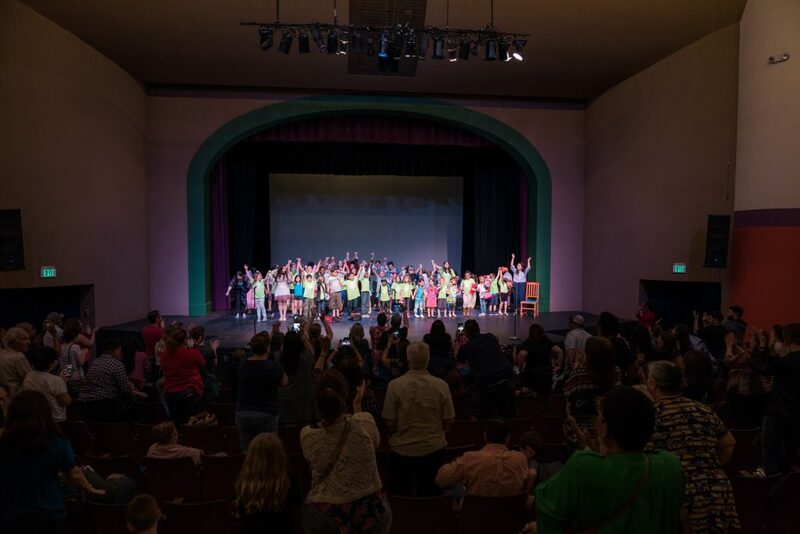 I hope that parents continue to invest in arts education programming like the ones we have here at The Magik Theatre.